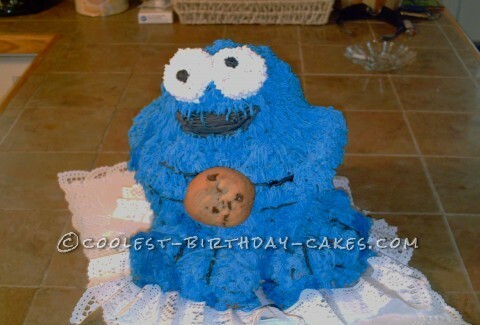 This 3D Cookie Monster birthday cake is for my grandson turning 1yr old, at the time. 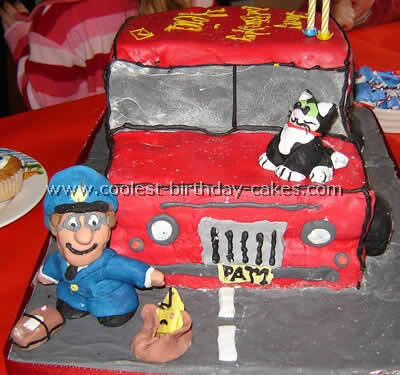 This was my first 3-D cake I made and was really an experience! I started by making a large chocolate cake that I doubled and put in a oven cooker and it turned out just the size for the bottom. I then used a Pyrex medium bowl for the middle, and a small Pyrex 2x ‘s for the head. The eyes are tops of cup cakes and it was strawberry chocolate and vanilla in flavors. I then froze all the cakes I made and proceeded to carve and shape the Cookie Monster. After placing dowel rods to place it together I crumb coated the Cookie Monster with blue butter cream icing. I then placed it in the refrigerator to cool down again so I could begin to use a grass tip to put icing on him to look like hair (turned out as I would have expected). After icing was completed, a large chocolate chip cookie was placed in his hands. 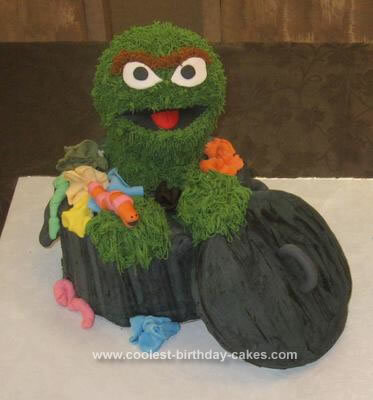 Now the time was to transfer to the location for the birthday party where 20+ people were waiting to see such a cake. Many request were made for Cookie Monster. However, I seemed to always be busy and could not get around to making another one, lol. But now looking back I might!